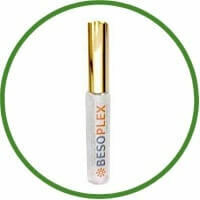 Besoplex Lip Enhancer claims to be the lip enhancer everyone has been waiting for. Not only is this lip enhancer supposed to make your lips instantly poutier but, within 30 days you are supposed to achieve long lasting fuller lips. But can this product live up to its claims? That is what you are about to find out. According to the official Besoplex website, this product is simply phenomenal. 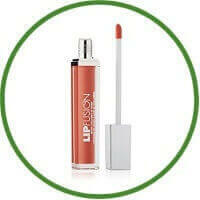 It boosts collagen production, immediately plumps your lips, reduces lip lines and wrinkles and softens lips; make them moister which makes putting on lipstick easier. Best of all, this product according to the website not only provides users with instantly fuller lips but, in less than 30 days those fuller lips will last over the long term. However, while the website offers all these claims they offer little evidence to back these claims up. There is no list of ingredients, though they do say they use only the best possible ingredients. They offer no clinical studies or other facts or figures to back up their claim. It is simply a case of, ”Take our word for it,” which may not set well with those potential customers who want cold hard facts before purchasing a product. The website does not furnish a list of ingredients that are contained in this product. Instead they simply state that their ingredients are all high end. A search of the internet revealed 3 ingredients menthol nicotinate, hyaloronic acid, and some kind of collagen supplement, whether there are more ingredients to this product is anyone’s guess as the ingredients seem to be a closely guarded secret. The fact that an ingredient list for this product seems difficult if not impossible to find will not engender much confidence in this product in the eyes of many consumers. Today’s consumers are looking for real information not just promises on the products they buy. While some of the reviewers for Besoplex Lip Enhancer seem to be impressed with the companies claims actual unbiased reviews are not too surprisingly quite negative. 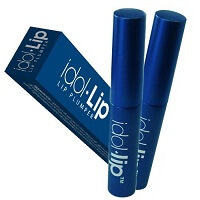 While some reviews state this product seems to be almost entirely mineral oil that goes on like water, others actually found their lips cracking and blistering. Very few reviews could be found where reviewers stated that this product lived up to any of its claims let along all of them. While the Besoplex Lip Enhancer’s official website speaks of this product in glowing terms that makes them sound highly official, on closer inspection this site seems to make a lot of claims about their product without any facts to back up their claims. There is no clinical trials, no list of ingredients and no studies offered to back up any single one of their claims. While the site does state that it only uses high quality ingredients in this product they don’t tell you what those ingredients are so that consumers can judge for themselves. In addition unbiased reviews are quite negative and indicated that the company’s claims for this product are way over what they actually deliver. In addition, some users found that this product actually was extremely bad for their lips causing them to dry out and even blister. The company also seems reluctant (according to dissatisfied users) to honour their money back guarantee. While the company does make a good show of their product; unfortunately, in the eyes of many users a show is all it is. The product fails to deliver on its promises and for that reason it is not recommended.